The garage roller door is an underrated component in your house that doesn’t get that much attention. It is a massive moving object that plays a vital role in keeping your property safe and protecting it from intruders. It likewise makes your life more convenient, thanks to the easy access and entryway it provides. 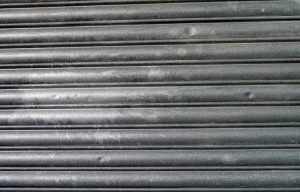 While you do not care about your roller door, keep in mind that it also needs maintenance for it to function the way it is intended to; without regular inspections, you eventually will face expensive roller door repairs. So, what are the signs that your garage door needs fixing? 1 – It fails to open or close. The most obvious reason that your garage needs an immediate repair is it doesn’t open or close using the control buttons. There are numerous reasons behind that issue; it is either because of unaligned doors to the control panel or malfunction. Also, before you call for an expert to solve your problem, make sure to test your garage door again and check if nothing is blocking it from closing so that you do not waste anyone’s time trying to fix something that is not even broken. 2 – There seems to be a slower than usual response time. If your garage doors are too late or lag in responding to your command, there might be something wrong. After you pressed the opener, garage doors begin to open and close in just a span of second or two smoothly without any hitch or delay. But if your garage is giving you a hard time making you wait for it to open or close it is advised to seek help from a professional who can check and provide a solution to your problem. 3 – It makes a lot of annoying noise. Noise is one of the significant indicators that your garage door needs to be checked immediately. It especially applies to most old garages. However, if the creaking or straining noise coming from your garage doors is already too excessive, surely there is a problem with your spring, opener bracket or the opener itself that needs an immediate solution from an expert. 4 – It is off its tracks. It is necessary that the doors of your garage operate within its tracks that are situated on either side of the door. However, there are instances that it comes off the track and it should be given an immediate repair solution before it gets any worse. Keep in mind that garage roller door repairs are not necessarily expensive, but if you ignore the signs, you most likely will end up paying for pricier repairs or replacement. Therefore, the best way to avoid hundreds of dollars of repair is by making a prompt response by way of calling an expert.